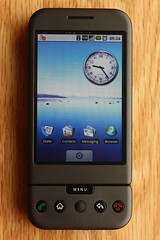 So, just to bring you up to speed - Harper (and Google) hooked me up with a developer version of the "Google Phone" or G1. As a developer phone it's sort of "unlocked" or rooted and comes with a fancy case. 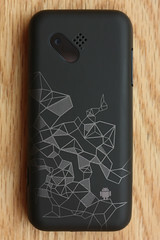 In short, it's awesome - but definitely, definitely a geek phone. I imagine the actual unrooted version you get from t-mobile is a bit easier to work with, but I still think it's more of a geek phone than a mainstream device like the iPhone. However, I can totally see this OS growing - especially with some better hardware in the future. Here are my thoughts on the device after a week of use. I am really, really digging the OS, its openness, and its tie to all of my Google account data, but it still feels a bit beta. I also feel like maybe too much stuff is going on in the background; it can run a bit slow at times (but that may be mostly my fault, ha). I love the connectivity and constant updates from Twitter, Facebook, Google Reader and various email accounts. I love the realtime data. The browser absolutely rules. Being able to have multiple windows/tabs is awesome. I don't use my cell phone for actual phone calls often, but I feel like making a phone call on Android is too hard. It takes at least 2 more steps than any other phone I've used. I mean, it's a phone; it's supposed to make calls. That should be the simplest feature. I think the G1 is clunky and cheap looking. The giant base is hard to type around, but I'm getting used to it. I do love having the option to type with either an onscreen keyboard or the physical keyboard... but I'm really looking forward to using this OS on a better handset. The camera is also kinda wack. I wish it had a flash. The battery power, or lack thereof, is really my biggest beef with this phone. I love all the apps that can completely tie into the OS and its data. Apps can override the default SMS app, use GPS, use the browser, add data to the address book, toggle phone settings, etc. The openness rules so much. Google Maps (with Latitude) is pretty solid, but I wish latitude used the GPS to update my location a bit better. or i wish there were options to have it only use GPS and maybe be able to set an update interval. I could go on and on about this because I'm a mapping and location freak. Basically latitude is so close to satisfying what I want... but not quite there. And why did Latitude work better on my Blackberry than it does on my Google device? haha. BrightKite - it's still in beta, slow, and has crashed on me a couple times... but this is definitely filling my Latitude void and becoming the way I track my daily travels. It's also mostly how I am now setting my status for twitter, facebook, and everything else. I'm already playing with the API - it's awesome. Greed - an awesome RSS reader that ties into your Google Reader account. Shazam - a crazy app that listens to nearby songs and tells you what they are. Tunes Remote - a super flaky iTunes remote, but when it works - it's awesome. Twidroid - amazing twitter client. I'm finally back to semi-realtime updates from my friends. And here are some nice utility apps, I've been using. Facebook Sync - updates your contact photos with their profile pics from facebook. SMS Popup - you know how the iphone pops up incoming texts in a little window? This does that. Rings Extended - lets you select any audio you want for a ringtone. Toggle Settings - nice quick way to turn on/off battery saving features. Sort of a must-have on this phone. Other apps that look awesome that I haven't really used. So yeah. Overall I'm really happy with the device. 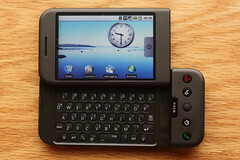 I'm excited to see Android progress and crawl into some better shells. Thanks a ton to my buddy Harper and a couple of the Google Open Source guys - Daniel Bentley and Chris DiBona for hooking me up. You should write an app that fixes your latitude issues. Maybe checks the battery life, if it is above a certain point - engages GPS to find location, if not - uses wifi and gsm to find location. Then posts it at predefined intervals. You could probably do it in the local shell or in python with the android script environment (http://code.google.com/p/android-scripting/). It would be awesome to make it a native app in the market because i am sure other people would use it. Complete agree with most of what you mentioned. I have had my G1 since mid-May...had a couple of hardware issues so I am on my 3rd...but the 3rd one is awesome! :) I actually don't mind the phone issue so much...I have my dialer on my main page, and actually have some shortcuts to contacts I call the most which basically is just Morgan or my faves. Still trying to decide whether I like T-Mobile or not...new customer and having some Verizon network buyers remorse. All in all I have pretty good coverage. Are you finding in your travels you are having adequate cell coverage? Oh, and one negative I would add is a lack of 3G in the suburbs...I hate EDGE in Urbandale...there is 3G downtown so its nice while I am at work. It actually is really fast. I do have WIFI at home though, so that helps. whoa, des moines has 3g now??? i had no idea.